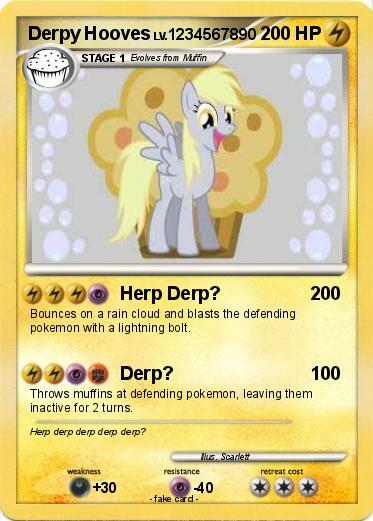 Attack 1 : Herp Derp? Bounces on a rain cloud and blasts the defending pokemon with a lightning bolt. Throws muffins at defending pokemon, leaving them inactive for 2 turns. Comments : Herp derp derp derp derp?